Create anamorphic streaks out of the light in your image with PROSTREAK™ from Pixel Film Studios™. PROSTREAK™ allows you to choose from up to 50 different anamorphic lens filters to make your film look like it was shot with a real streak lens filter. Create brilliant light streak effects in your next Final Cut Pro X project with ProStreak from Pixel Film Studios. ProStreak is not just a video composite. This filter analyzes your footage and works off the existing light in your film. If an object passes in front of the light source in your footage, you can see the streak effects from ProStreak react to the change in light. With 50 powerful presets and customization options, ProStreak allows users to control your Anamorphic effects to work perfectly with their footage. Using simple sliders, editors can adjust the diffusion and intensity of their light. ProStreak was created by the team at Pixel Film Studios to integrate perfectly with Final Cut Pro X to enhance your editing experience. 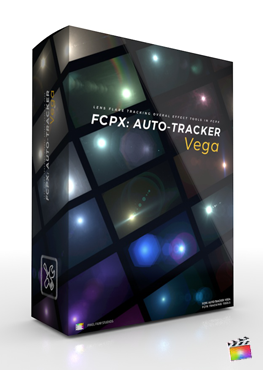 Take command of this plugin using the on-screen controls in the FCPX viewer. Simply grab control of your light selection area using the handles instead fumbling around in the inspector. ProStreak was professionally designed to work inside Final Cut Pro X. Simply choose one of the plugin from the library, select the effect you like, and use the FCPX Inspector to control the look. ProStreak requires Final Cut Pro X version 10.1.1 or newer. Learn how to create anamorphic streaks out of the light in your image with the ProStreak Lesson from Pixel Film Studios. Where do I find ProStreak? Once the installation is complete, you can find ProStreak in the FCPX effects library.